It's been a tough few weeks. I had the flu and my husband is dealing with sciatica. When I'm not working, I'm trying to rest up and get my energy back or running him to doctor and PT appointments. Here's hoping for a healthy new year! It's pretty easy to focus on the negative stuff, so I decided to make a list of the things I learned in 2017. I still hope to do a more detailed post of the highlights from 2017, because I love looking back at those. But for now, here's my list. 1) Paris in the spring is more lovely than I ever imagined. 2) Auvers-sur-Oise is my new favorite place in the world. 3) Calling elected officials is important and not nearly as difficult as my brain might have wanted me to believe. 4) Sometimes parenting means doing hard things, but amazing and wonderful things often come from those hard things. 5) Time and energy spent on a child is always time and energy well spent. 6) My body appreciates it when I take good care of it. 7) Riding the bus is actually a pretty relaxing way to get to work and I don't mind it much (except for the germs). 8) My new job has shown me I am capable of focusing and being productive for hours at a time and I love that feeling. (Note to self: remove social media apps from writing computer for the new year). 9) I mustn't take health and mobility for granted. It's too important and must be a top priority, always. 10) Rereading CHARLOTTE'S WEB via audio with E.B. White reading it to me was an excellent decision. 11) Waiting for "the next shoe to drop" and checking for news on and off all day is a terrible way to live. 12) I'm happiest when I see friends regularly. 13) Maybe I can't make a huge difference and change the world, but I can do small things every day that make a difference in my small part of the world. 14) Music and stories via books, movies, TV, plays, etc. still give me life and money spent on those things is always money well spent. 16) I love fashion from the fifties (thanks to The Crown for this new revelation). 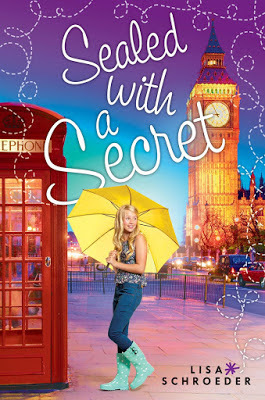 Don't forget, SEALED WITH A SECRET is out in paperback this Tuesday! 'What do fairies eat?' I asked. And so, after we ate the lunch Mum had packed in a picnic basket, we made pretend dandelion cakes and played silly fairy games. Except at the time, they weren't silly at all, they were wonderful. Sometimes I wonder if Alice ever remembers those times when we played and laughed and enjoyed each other's company. Maybe I should leave one of the family photo albums on her pillow, so she might flip through and be reminded that she didn't always find me as wonderful as a nest of wasps." 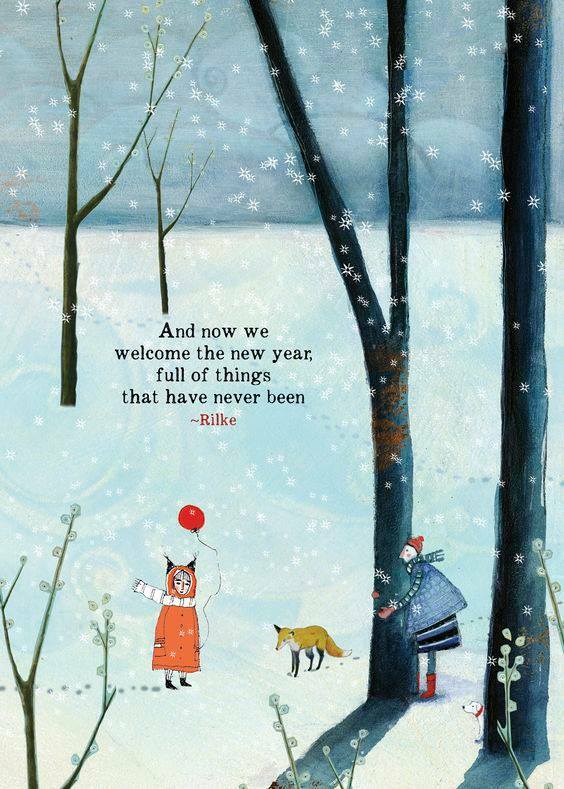 I hope you have a wonderful holiday if you're celebrating tomorrow. It's a book about friendship. About the ups and downs of family, and what it means to open your heart and your home to give someone a place that feels like home when they really need it. About finding beauty in everyday things and being thankful for them. About Vincent van Gogh and art, and how art can bring people together. I'm really proud of this book and am excited for you to read it next year! Juliet has just moved to a beachside town with her newly separated mother and her moody older sister. When she meets their new neighbor, Emma, the girls form an instant bond. 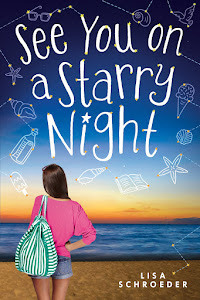 Emma's big family takes Juliet in, and the girls have fun together -- starting with the night they throw bottles with secret messages into the sea. 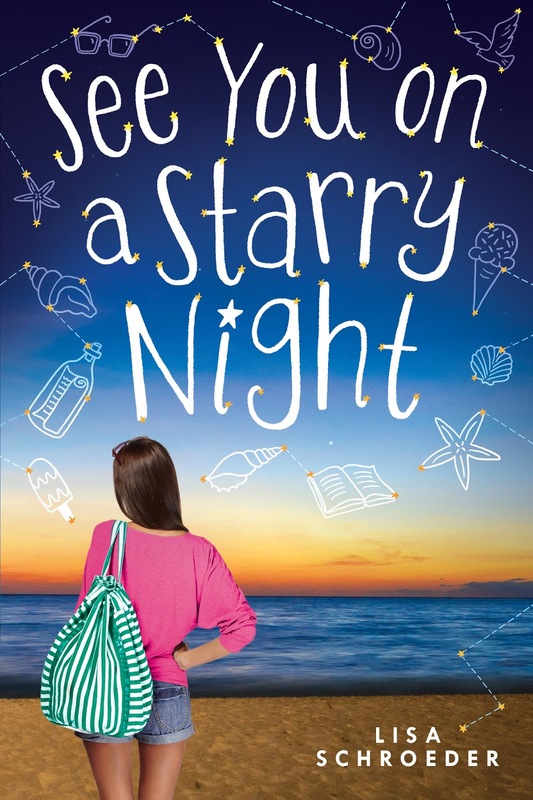 I just now turned in the final edits for my 2017 MG novel SEE YOU ON A STARRY NIGHT. 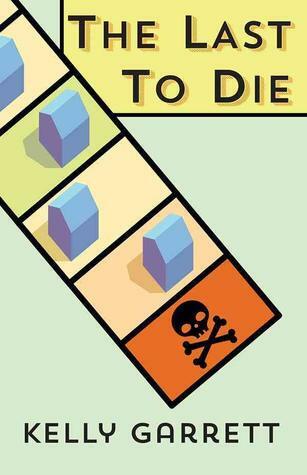 This book took a long time in the beginning to get the premise just right. I tried one thing and my editor said, "That's not going to work and here's why." Tried another thing and this time it still wasn't quite right. I rewrote the first fifty pages or so three or four times over the course of like six months. (I was hoping to sell on the synopsis plus some pages). Were there times I wanted to give up? Yes. Were there times I wondered if I didn't have it in me to figure it out? Yes. But now, on the other side of all of that, I'm so glad I didn't give up. So glad I didn't believe the negative voices that told me I couldn't do it instead of believing in what I've learned during all of these years doing this - that sometimes things simply take time. It's okay to be frustrated. To walk around for days with a notebook jotting every little possible idea down and to trust that the right one will eventually come. In today's world where everything feels instantaneous, creativity doesn't work that way. It needs room to breathe. To expand. I am reminded today of how important it is to do that. Because with time and space, the right thing did eventually find its way into the story. And I couldn't be prouder of how it turned out. Yay - a new book in 2018!!!! I'll have more to share with you in the coming months about this book. 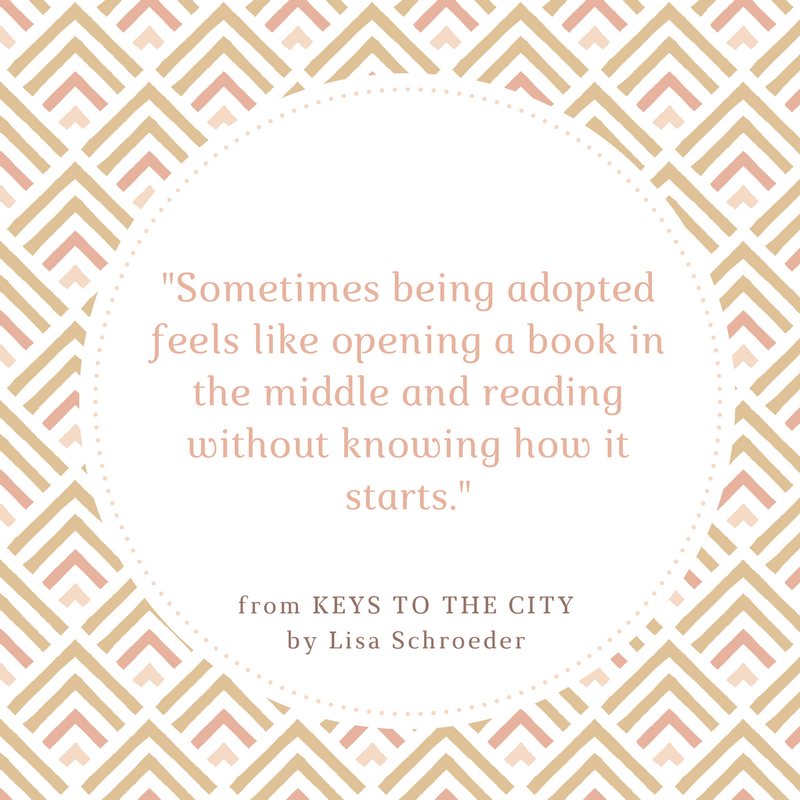 In the meantime, if you haven't checked out KEY TO THE CITY, please do. It could use all of the help it can get. As for the new book, hopefully I'll have a cover to share soon! Please don't ask me why I have so many salt shakers on my counter because I have no idea. I don't even salt things that much. I think they all just need to go in the cupboard, which I will do as soon as I finish this blog post. And because there is more time for home projects. We painted a couple of walls in our bedroom gray, bought a new mattress and bedding, moved things around, painted furniture and frames black, and sold our 25+ year dresser for $400 and bought this one on craigslist for $250. I cannot even tell you how happy I am with how it turned out. I don't think I realized how much I hated the old bedroom until I fell in love with the new one. Whenever I think of taking on a project like this, it's always kind of overwhelming, but when it's done, I'm like, why didn't we do this sooner? And now, I have an hour or so to write, so I better get to it. Happy summer!! Hey look at this -- a new book! This is what I've been working on for the past year. This book took a loooong time to figure out. 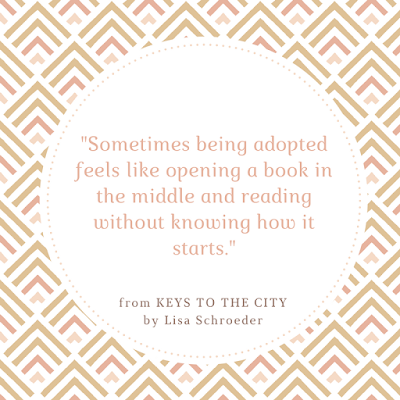 I tried like three different times to get a premise my publisher loved while still holding on to the story of divorce that I wanted to tell. This announcement speaks to the hook of the novel, but like all of my other MG novels, it's very much a story of family and friendship, and the ups and downs that come along when you're that age. I've just sent revisions off to my editor, I'm guessing copyedits will come in a month or so, and that we'll see a cover fairly soon. Can't wait! My agent told me this novel feels a bit like coming home to It's Raining Cupcakes and is her favorite middle-grade novel I've written so far. That was exciting to hear!! 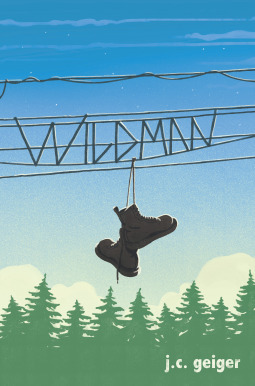 So now, I work on something fun that no one knows about while also thinking about the second book coming out in 2019. Maybe I can finish something else the next few months before I get to work on that one. Here's hoping! I have so many books right now that I want to read. I mean, I always do, but right now, it just seems like I could sit and read for twelve hours a day for two weeks straight and I still wouldn't get everything read. This morning I'm working on a manuscript that I'm writing for fun. That's code for - it's really different and I have no idea what I'm doing and whether or not anyone would want to publish it but I'm writing it anyway. Because to keep writing interesting, we have to have projects that keep us interested. When I get a few pages of that done, I think I'll spend the rest of the day reading. So here are just a few of the books I'm reading and excited to read soon. It's a mix of MG and YA - some are appropriate for younger kids, others are not. First, I want to mention the YA novel WILDMAN by J.C. Geiger that I just finished, which had SUCH a good ending. 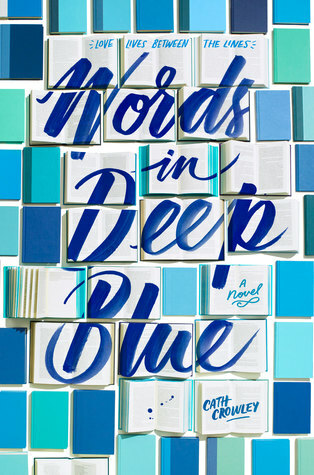 I love books that really nail the ending (maybe because endings are always the hardest for me). He’s ordering drinks at a roadhouse. Jumping a train. Talking to an intriguing older girl who is asking about his future. And what he really wants. As one day blurs into the next, Lance finds himself drifting farther from home and closer to a girl who makes him feel a way he’s never felt before—like himself." From goodreads: "The deep and enduring friendship between Vincent and Theo Van Gogh shaped both brothers' lives. Confidant, champion, sympathizer, friend, Theo supported Vincent as he struggled to find his path in life. They shared everything, swapping stories of lovers and friends, successes and disappointments, dreams and ambitions. 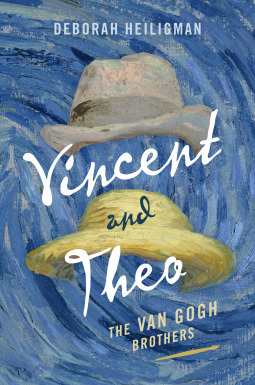 Meticulously researched, drawing on the 658 letters Vincent wrote to Theo during his lifetime, Deborah Heiligman weaves a tale of two lives intertwined and the love of the Van Gogh brothers." I also started THE LAST TO DIE by Kelly Garrett recently, after attending Kelly's launch party in Portland, and am excited to get back to it. It's a murder mystery, and since I was playing around with one of those myself last summer, and may come back to it at some point, I'm especially interested. From goodreads: Sixteen-year-old Harper Jacobs and her bored friends make a pact to engage in a series of not-quite illegal break-ins. They steal from each other's homes, sharing their keys and alarm codes. But they don't take anything that can't be replaced by some retail therapy, so it's okay. It's thrilling. It's bad. And for Harper, it's payback for something she can't put into words-something to help her deal with her alcoholic mother, her delusional father, and to forget the lies she told that got her druggie brother arrested. It's not like Daniel wasn't rehab bound anyway. So everything is okay-until the bold but aggravating Alex, looking to up the ante, suggests they break into the home of a classmate. It's crossing a line, but Harper no longer cares. She's proud of it. 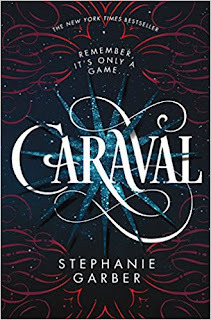 Until one of the group turns up dead, and Harper comes face-to-face with the moral dilemma that will make or break her-and, if she makes the wrong choice, will get her killed. Up next, the DRAGON WITH A CHOCOLATE HEART by Stephanie Burgis. From goodreads: "Aventurine is the fiercest, bravest dragon there is. And she's ready to prove it to her family by leaving the safety of their mountain cave and capturing the most dangerous prey of all: a human. But when the human she finds tricks her into drinking enchanted hot chocolate, Aventurine is transformed into a puny human girl with tiny blunt teeth, no fire, and not one single claw. But she's still the fiercest creature in the mountains -- and now she's found her true passion: chocolate! 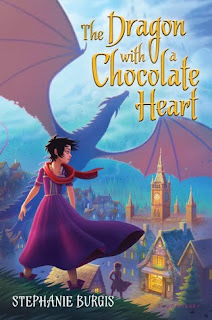 All she has to do is get herself an apprenticeship (whatever that is) in a chocolate house (which sounds delicious), and she'll be conquering new territory in no time...won't she?" 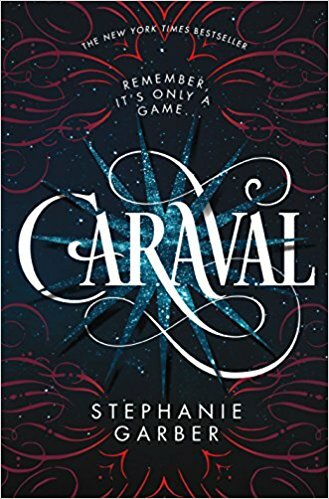 And after that, CARAVEL by Stephanie Garber. And finally, I don't even have this book in my house yet, but I am SO excited to read it, based on the description and the fact that I've heard people talking about how they can't stop thinking about it after they read it. I have a feeling it's going to be one of those - I wish I'd written that type of books. Too many books, too little time. Story of my life. KEYS TO THE CITY out today! 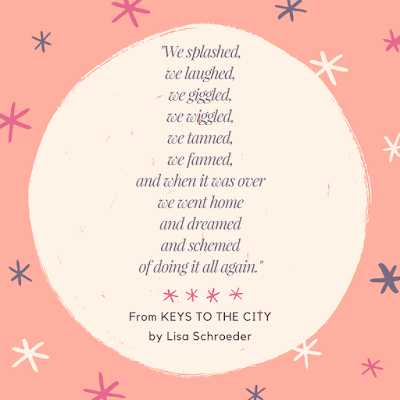 Thanks to everyone who has pre-ordered or is planning to go this week to buy my latest middle grade novel, KEYS TO THE CITY! First week sales are important, and I appreciate everyone who makes an effort to get the book when it first comes out. Kind of a funny story - yesterday I wanted to comment on an article that was going around about someone who insisted you have to write every day or other authors will surpass you or some crazy nonsense. I counted up my books in my head so I could show that I have a teensy bit of experience in knowing what I'm taking about when I said you don't HAVE to write every day. And when I counted, I came up with 16, so I tweeted that number out in my message. But then I realized I forgot to count the CHARMED LIFE series. 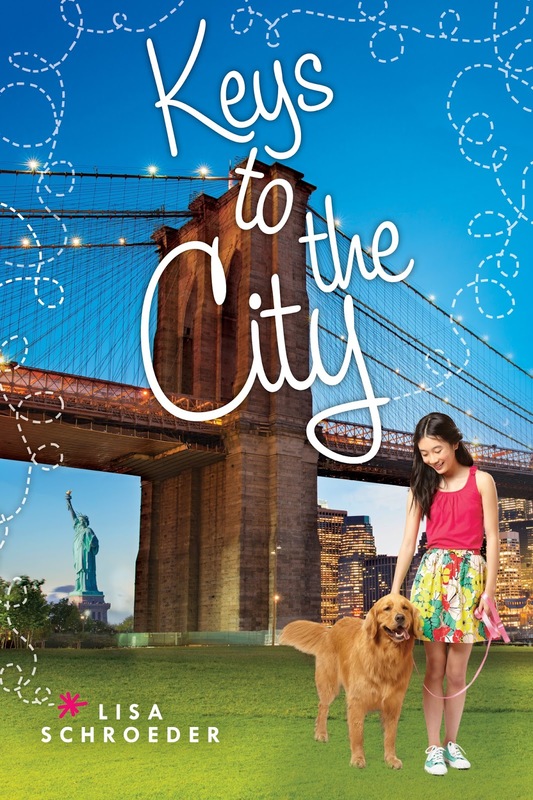 So KEYS TO THE CITY is actually my 20th published book (2 picture books, 7 YA novels, and now 11 MG novels). 20!? I'm kind of in shock that I've hit that number. Wow! Truth is, I hope there are 20 more. But if I've learned anything, it's to take it one book at a time and to never take anything for granted. And no, I don't write every day. When I'm drafting a new novel, I try to write at least a little bit every day only because reentry into the story is much easier when you haven't been away very long. But sometimes life happens and, oh well, you know? Every writer has to figure out what works best for him/her. There are no "rules" except to do what you find helpful to finish the book. Anyway, my 20th book comes out today, and I should thank YOU for your support because authors can't keep writing unless readers keep buying and reading. A couple of posts I've written in years past that I'm thinking about this morning. Where's the best place to buy your book? 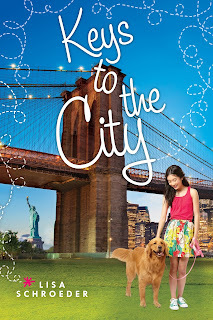 And another post to check out - one I wrote for the Nerdy Book Club today about how I came to write this trilogy about girls having fun adventures around big cities. 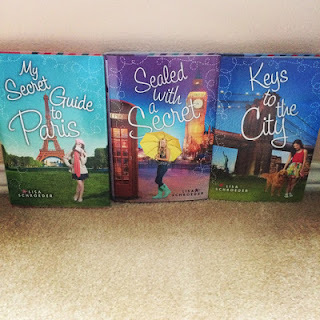 I've had so much fun writing these books, and I hope people have had just as much fun reading them. Oh my goodness. First time to Paris, and what a lovely trip we had. The weather was practically perfect. A cool, showery day after we arrived, and we got caught in a sudden downpour when we were out in the countryside one day, but it didn't last long and some trees helped keep us somewhat dry. 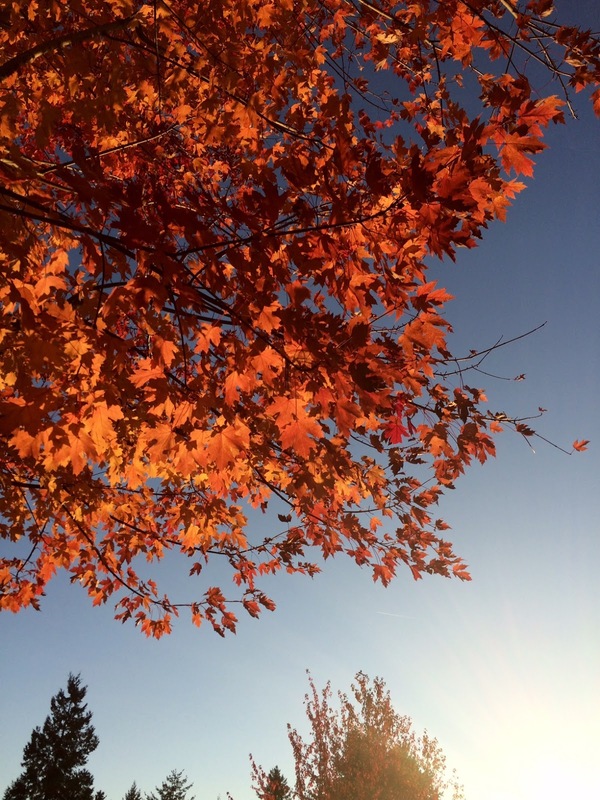 Other than that, sunny and blue skies, including a couple of 80 degree days. Here is a day-by-day account of this trip of a lifetime, mostly so I can look back on it when I want to. I think I'm also going to do a post for first-time visitors to Paris. Maybe it will be helpful to others? I did a lot of research before going and had pages filled in a notebook of tips and tricks to know. It really helped. I think if you just go, without a lot of thought or planning beforehand, you'll end up at all of the touristy spots and to me, that is not fun. Touristy spots are tourist traps, which means scams and pickpockets and all of those things I'd really like to avoid. Day 1 - we arrived around 2:00 pm. A rep from Insidr Paris met us at the airport to deliver the phone we'd be renting for our stay (a service I highly recommend). This phone allowed us to have a hotspot the entire time, provided restaurant recommendations and other tips from a community of Paris experts, and allowed us to easily use the Citymapper app so we could figure out how to get places using the metro, the bus, trains, or by walking. It was awesome. We didn't take a single taxi. When we went to Montmatre for the day, my husband heard a couple get out of a cab and the American man said, "How much was that?" And she said, "Fifty euros, which is like fifty seven dollars or so." For ONE ride!? Oh my gosh. We bought Navigo passes for less than that and they got us just about everywhere we wanted to go, with the exception of Giverny, which required a separate train ticket. After we checked into our hotel, it was a beautiful sunny day so we walked from our hotel to the Pantheon for a look around and a tour to the top. After that, dinner at a famous steakhouse - Le Relais de l'Entrecôte - yum! Day 2 - In line at 9:00 for the doors opening at 10:00 to go up to the tower at Notre Dame. Wow, this was so amazing. Highly recommend doing this. So glad we got there early, the line was long by the time we got inside. After staying up top for an hour or so, we walked around inside the church for a while. I bought a little painting from an elderly gentleman who was selling some of his art outside Notre Dame. It's now hanging in my office, a lovely reminder of our wonderful trip. After that, we strolled over to Île Saint-Louis and walked around, and I had a scoop of the world-famous Berthillon ice cream (raspberry). We visited the Eiffel Tower, though we didn't stay long because it's such a tourist trap and there are scammers everywhere. I knew we'd have a chance for more photos later on the trip, because I'd scheduled an evening cruise on the Seine. After an early dinner in a bistro that we happened upon and was delightful, we went to the Musee d'Orsay, which is a museum in an old train station. I really loved this museum. When I saw Starry Night over the Rhone by Van Gogh, I got chills. It is SO beautiful in person. Like, you just can't even imagine. There's also some beautiful pieces by Monet, Renoir, and more. Day 3 - A day trip to the French countryside to visit a chateau, Vaux le Vicomte. I was not interested in going to Versailles which I've heard is wall-to-wall people, so I researched others and decided on this one. We really enjoyed it. The man who had it built, Nicolas Fouquet, was the superintendent of finances for King Louis XIV. He hired architect Louis Le Vau and landscape architect Andre le Notre. Fouquet invited the King over one night, when it was all finished, hoping to impress him. Instead, the king became jealous and when someone led him to believe public funds had been misappropriated, the king believed it and had Fouquet arrested. The king then hired the architects who had designed Vaux le Vicomte to design what would become Versailles. So in a way, I suppose you could call this estate a little Versailles. There's a casual restaurant on site, so we ate lunch outside on the patio, before the clouds rolled in. Day 4 - We met up with a group for a 4-hour bike tour. This was really fun. A little scary at times, because biking through Paris is not for wimps, but overall, it was good. We rode around the city, and stopped at attractions and heard fun stories about them. We visited a couple of places I wouldn't have known about. We also stopped in for hot chocolate at Paris' oldest restaurant, Le Precope. So much history in this restaurant - the guide pointed out all kinds of cool things. That afternoon we went to the Musee L'Orangerie to see Monet's water lilies as well as some other pieces. Then we had pizza and beer while sitting outside in the St.-Germain area, watching all the people going by. It was so good. And I had cake. No surprise. Day 5 - A day trip to the village of Auvers-sur-Oise. This was one of my favorite parts of the trip. It's such a quaint little place with the cobblestone streets and charming cottages. 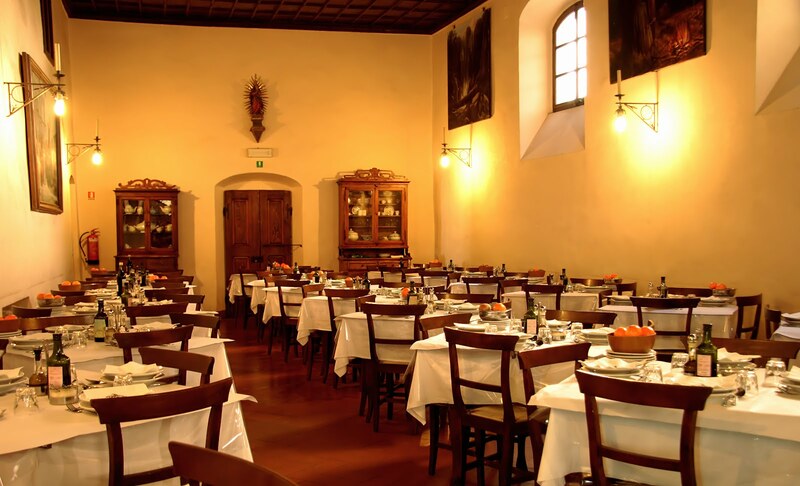 This is where Vincent Van Gogh spent his last days before he died. In 70 days he painted close to 70 paintings, because his doctor told him it would be good for him to immerse himself in his work. We spent the entire day here, walking from one end of the town to the other. Day 6 - Another day trip, this time to Vernon, where we rented bikes and rode them to Giverny, to see Monet's home and gardens. The gardens are lovely, although I didn't like this trip as well as Auvers, mostly because the place was packed with people. The bike ride was fun though - along an easy path that keeps you away from traffic. And now I want a yellow dining room. 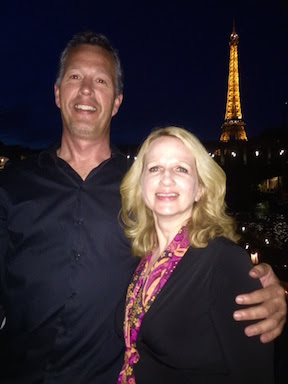 Day 7 - We spent time at Luxembourg Garden, visited a Jean-Paul Hevin's chocolate shop to bring some chocolates home for my son who was pet-sitting, and went to the Opera House (Palais Garnier) and took a tour. Such a beautiful place. That evening, we took a dinner cruise on the Calife. I read lots of reviews and this was the one with the highest marks. People said it wasn't cheesy and the food was actually good. So we went for it. I have to say, we had a really lovely time. It had been 80 degrees that day, so it was neat to see how everyone flocks to the river banks with food and wine and has picnics all along the river. So fun! That is one thing I noticed again and again - Parisians know how to get out and have fun. Day 8 - our last day! We headed to Montmartre and took a walking tour using the phone we had rented which had a bunch of walking tours programmed into it. We should have done more of this! It was great because it mostly kept us out of the tourist trap areas, and it is such a beautiful place to walk around. When our feet were tired of walking and our stomachs were grumbling, we hopped on a bus and made our way to a "must-do" on my list - to have a fallafel sandwich at the world-famous L'as du Fallafel in the Marais neighborhood. So good. After that, we visited the Memorial de la Shoah, the French holocaust museum for a little while. It's free, and they had a really interesting exhibit about comics and graphic novels that have been done about the holocaust.